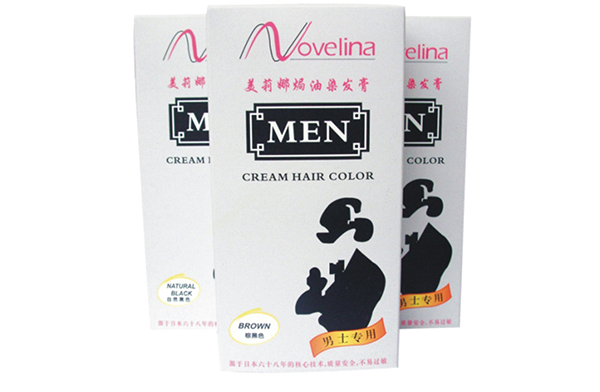 Novelina Men Cream Hair Color is a permanent hair color that is specially made for men. Its faster acting cream developer makes waiting time shorter. Each box contains 60g tube of colorant, 60ml. tube of cream developer, 1 sachet moisturizing conditioner, gloves, ear covers, and coloring brush.